We offer training plans for endurance athletes and consultancy for coaches, clubs and teams. Every training plan is developed by Reinout Van Schuylenbergh, PhD and tailored to your personal objectives. Programs are based on current scientific evidence and good practices. 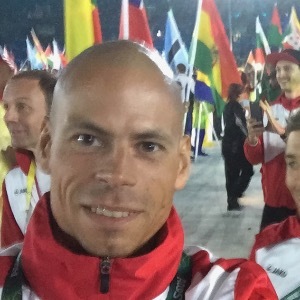 Reinout Van Schuylenbergh made a PhD in exercise physiology (2006). He has a rich academic background, as well as more than 25 years of experience as a multisport athlete (triathlon, adventure racing, trail running, road cycling, mountain biking). He coaches fitness enthousiasts, age-group athletes and professional athletes and provides consultancy for coaches, clubs, federations, companies and individual athletes. Making athletes and coaches smarter, describes his coach philosophy. Passionate about sports and committed to a healthy and active lifestyle. Success. Coach Reinout Van Schuylenbergh, PhD has been notified of your message.